Johnson & Johnson has sustained another major judicial loss in its defense of its talcum powder product. The Aug. 20 award in California prompted a vow to appeal. 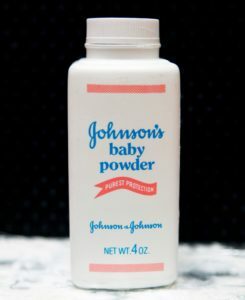 “A spokeswoman for Johnson & Johnson, Carol Goodrich, said the company would appeal the verdict handed up by a jury in the Superior Court of Los Angeles County and was preparing for additional trials,” according to the New York Times.